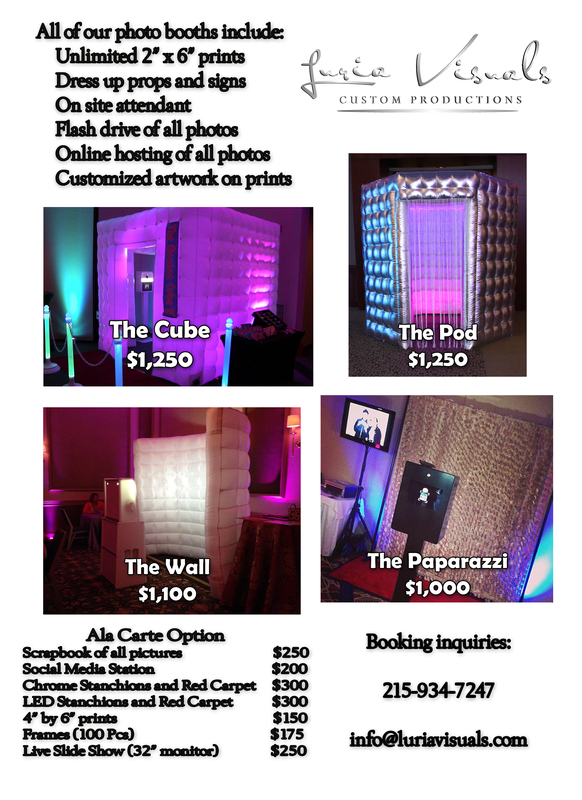 Looking for additional entertainment for your event. Luria Visuals stays current by offering a variety options. Below are some of our options and more are always being added. Call or email for samples or to learn of our newest offerings.